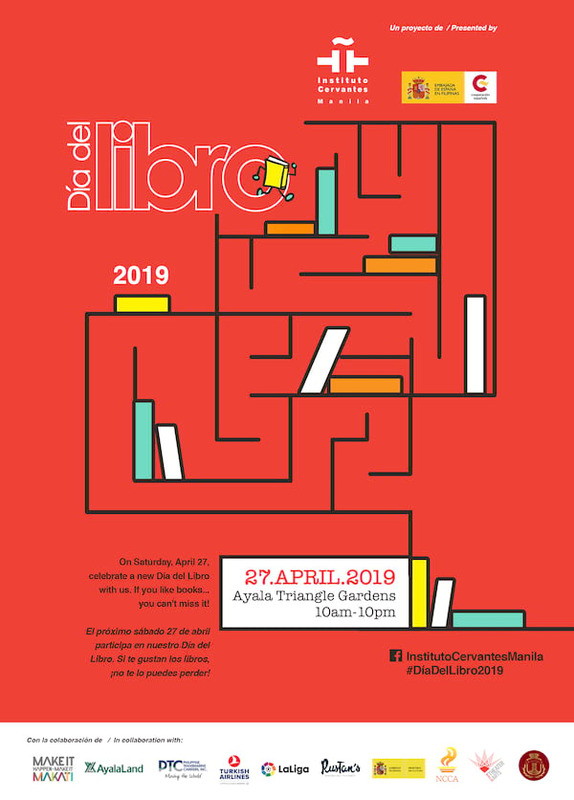 On April 27, Saturday, Instituto Cervantes, the cultural arm of the Embassy of Spain, will once again be abuzz with exciting activities to celebrate the Día del Libro (International Book Day) at the Ayala Triangle. As in the previous years, thousands of books will be up for grabs. Top bookstores and publishing houses will be selling a wide array of books at a 20% discount. Following the tradition in Spain, everyone who buys a book will also be given a rose. Apart from the Book Market, there will also be a whole lot of other cultural activities. Check out Instituto Cervantes’ free Spanish demo class. Meet award-winning authors at the book presentations. Participate in the poetry reading of Mi último adiós. Savor delectable Spanish cuisine from different Spanish restaurants. Treat your children as well with the many fun activities in store for them – storytelling, games and coloring. Cap off the evening with Posporos, a concert which brings together independent Filipino and Spanish musicians. 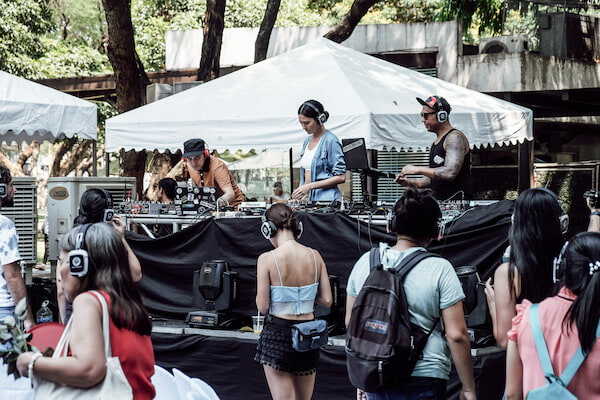 Presented by the Embassy of Spain, Instituto Cervantes and the National Commission for Culture and the Arts, this edition’s artists are Vulk, a Basque punk band from Bilbao, and The Late Isabel, an art rock band from the Philippines. One of the highlights of the Día del Libro is the Rewriting of Don Quijote. To commemorate the Day of Miguel de Cervantes, Instituto Cervantes invites visitors to copy Don Quixote de La Mancha by hand. Every year, around 500 book-loving volunteers hand-write an excerpt from Cervantes’ timeless novel. 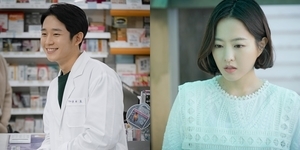 Participants in the handwriting chain will receive a rose. 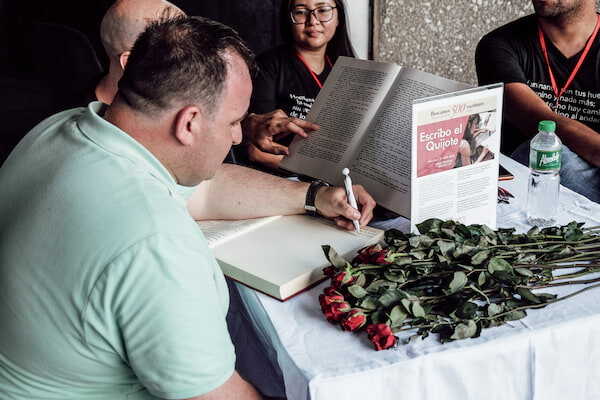 After years of contributions from the volunteer writers, once the hand-written book is finished, it will be deposited in the Library of Instituto Cervantes. Another exciting event is the poetry reading of Mi último adiós by José Rizal. Each reader gets to recite a line from the famous poem, and each recitation will be recorded. The final cut will be uploaded on Instituto Cervantes’ social media pages. Readers will be given a rose for participating. Other organizations are also joining in the fun by treating visitors with additional activities for this special day. From 9:30 am. Kyusi Sketchers is inviting you to sketch your favorite scenes during the Día del Libro. At around 3pm, the drawings will be displayed for people to admire. If you have a good hand at drawing and would like to join this activity, please email your name and contact number to cenmni@cervantes.es with the subject “Sketching at Día del Libro”. 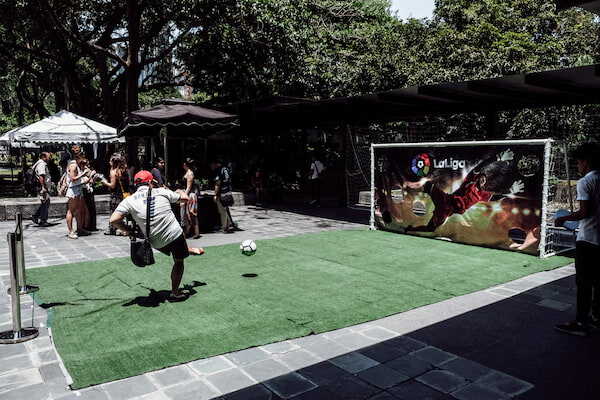 For the football fans, the Spanish Football League La Liga invites visitors to try out their skills in their game “Chuta-Gol”. Score a goal and get a chance to win a prize. Catch a sneak preview of acclaimed playwright and poet Federico García Lorca’s tragedy, Blood Wedding. The play, which will be shown this coming July 2019, will be enacted by students of the Theatre Arts Program from the College of Saint Benilde. Other activities include a book signing session by acclaimed writer Jessica Zafra and the launching of the new volume of the famous Filipino comic saga Trese. And if that isn’t enough, to celebrate the love for books and reading, Instituto Cervantes will be giving out hundreds of books – for FREE! Purchase a shirt featuring an excerpt from a Spanish poem, and not only will you get a rose, you will also get to take home a book. 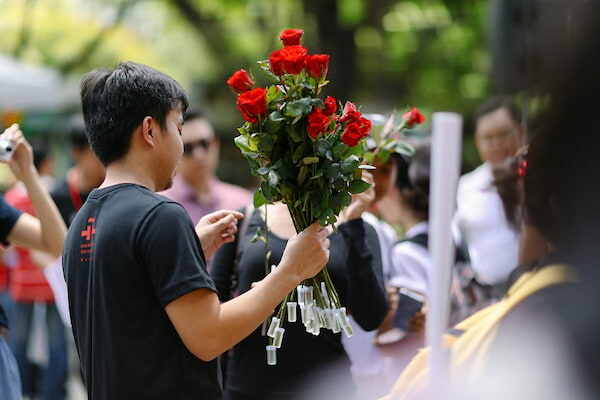 First introduced in Manila by Instituto Cervantes in 2006, the tradition of Día del Libro began in Barcelona, Spain to celebrate St. George’s Day (23 April), during which men and women exchange roses and books. This date also honors two of history’s greatest writers – Miguel de Cervantes and William Shakespeare – who both died on April 23, 1616. These significant incidence prompted the UNESCO in 1995 to declare April 23 as “World Book and Copyright Day” to instill the love of reading among the youth and to promote respect for the rights of authors over their literary and artistic works. April has also been declared by the NCCA as National Literature Month, as it is also the birth month of the renowned Filipino poet, Francisco Balagtas. Día del Libro is organized by Instituto Cervantes de Manila, the Embassy of Spain in the Philippines, the Spanish Agency for International Development Cooperation (AECID), the Ministry of Education, Culture and Sports of Spain, Ayala Land Inc. and Make It Makati, in collaboration with Philippine Transmarine Carriers (PTC), Rustan’s Commercial Corporation, Turkish Airlines, La Liga, the National Commission for Culture and the Arts (NCCA), the Delegation of the European Commission to the Philippines, De La Salle – College of Saint Benilde, Kyusi Sketchers, La Peñica, Anvil, Visprint Inc., and the best Manila bookstores. Admission to all Día del libro activities is FREE on a FIRST-COME, FIRST-SERVED basis. For more information, please visit our website at http://manila.cervantes.es or our Facebook page atwww.facebook.com/InstitutoCervantesManila. You may also contact us at 526-1482. 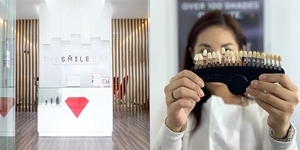 Instituto Cervantes de Manila is at Ayala Tower One & Philippine Stock Exchange Tower Plaza, Ground Floor, Ayala Triangle, Ayala Avenue, Makati.